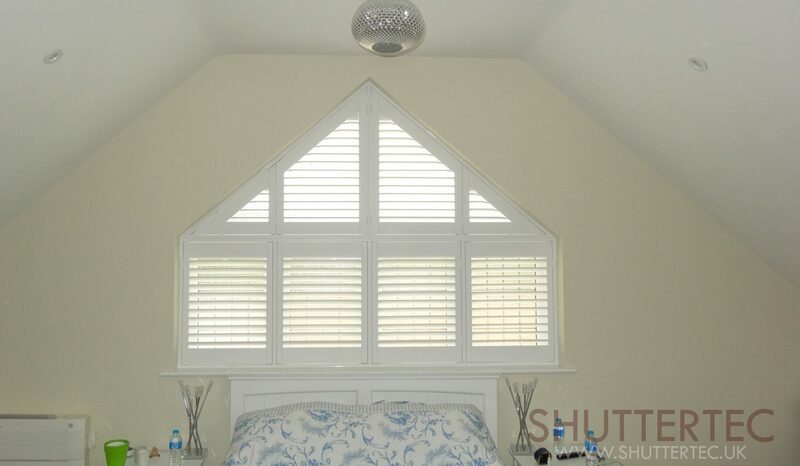 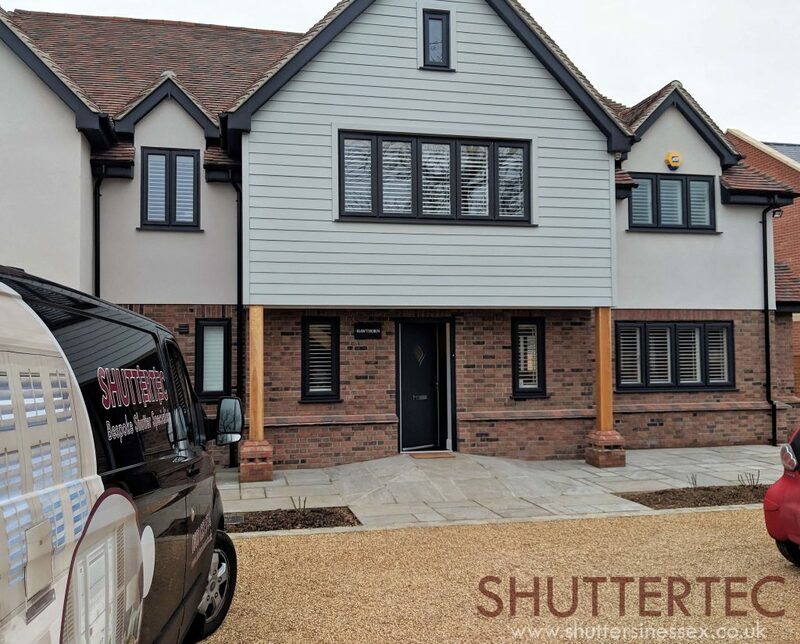 Shaped shutters in Dorma windows are a regular occurrence for shutters. 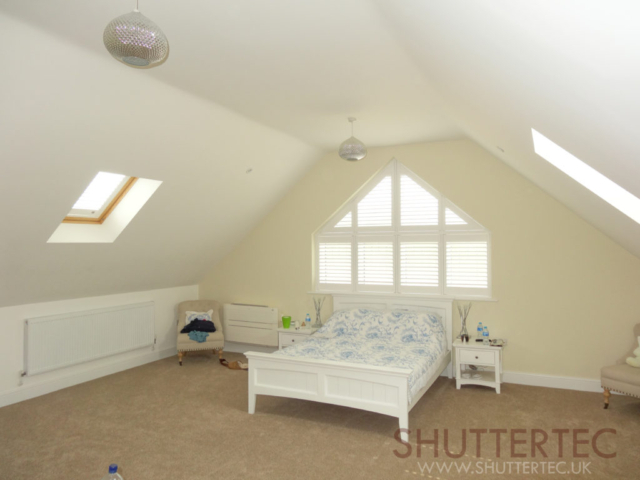 No blind fits these very well, curtains can be bulky and still very awkward to fit. 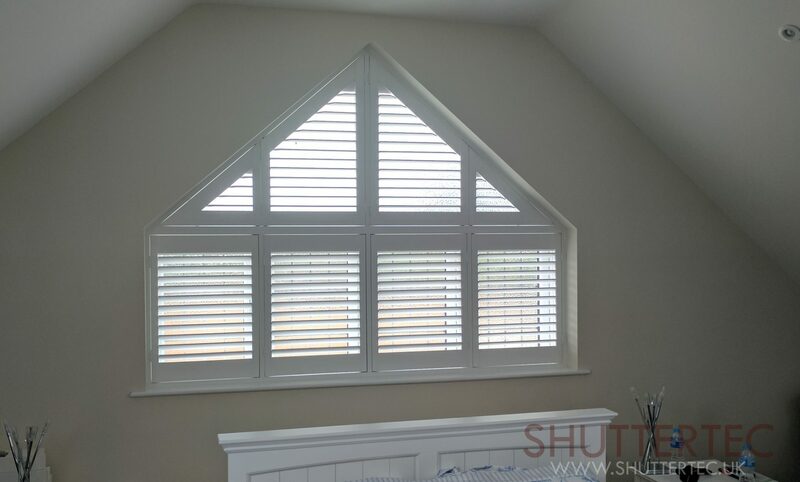 The customer had an objective to keep the shutters to a minimal look, modern and clean. 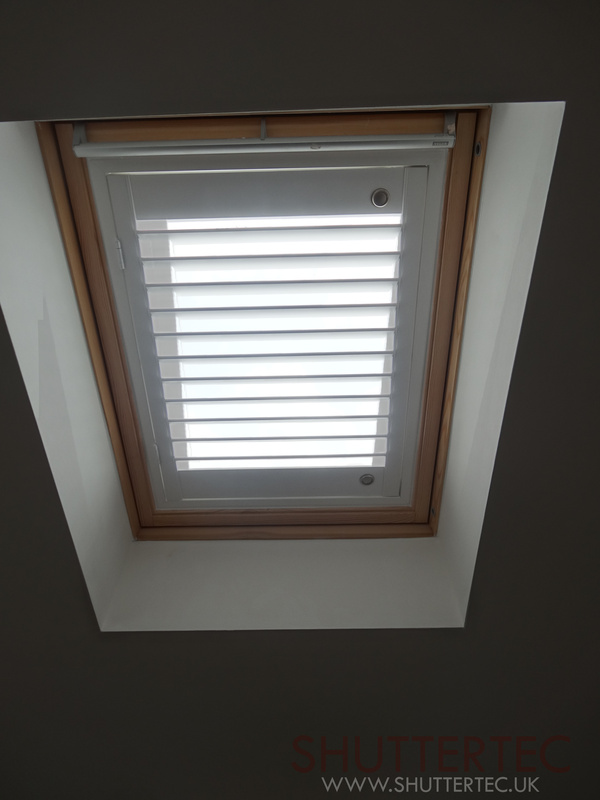 Our clear view system was opted to take away any tilt rod (usually reserved for classic looking shutters) and a modern sized louvre. 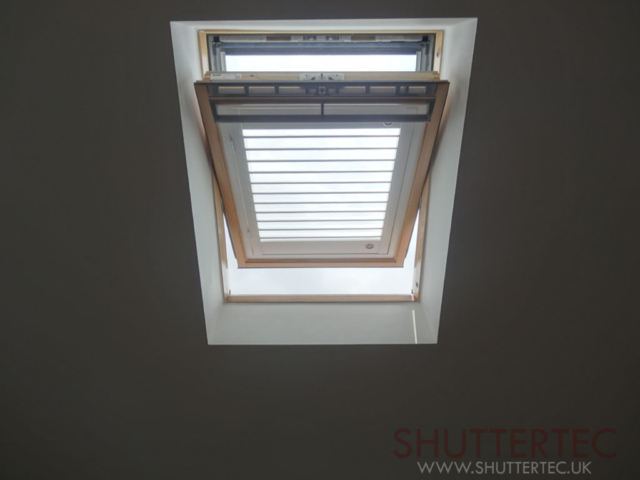 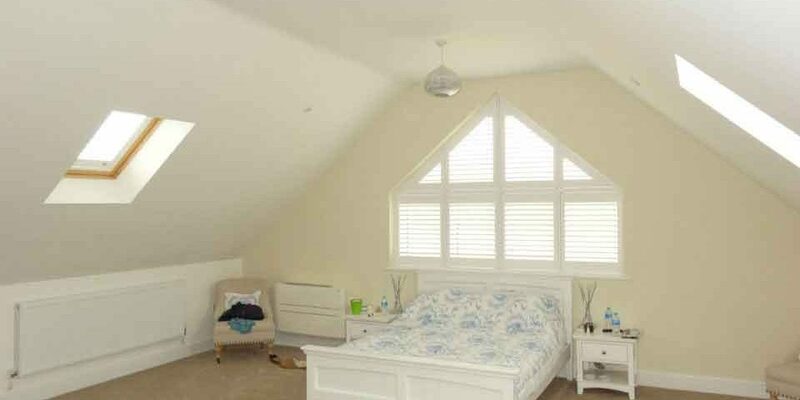 To compliment the Dorma windows, skylight shutters were fitted into the Velux windows to complete the look. 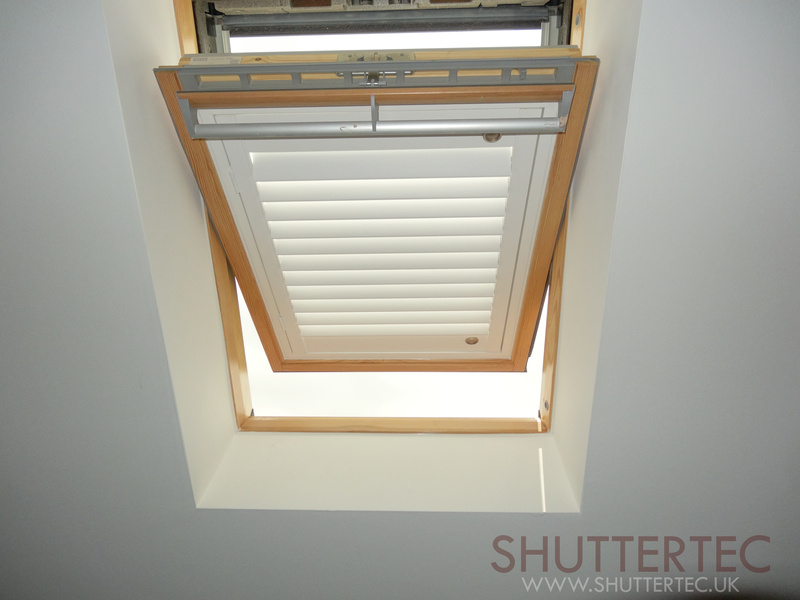 These shutters move with the skylights still giving as normal operation as blinds. To open, you simply push the lock. 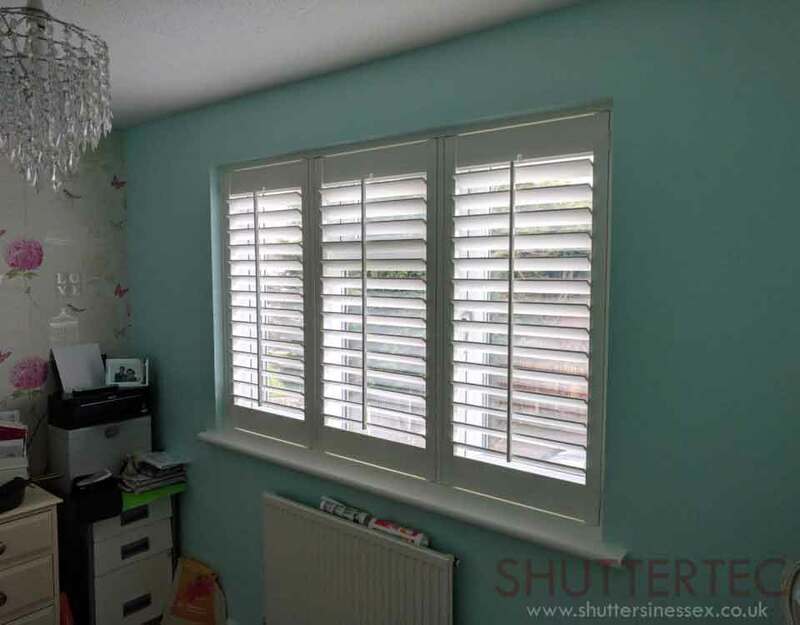 Both of these sets of shutters have to be measured to perfection to give the best look, and we are clearly delighted with the outcome. A true feature to any home.